Teams need leadership and guidance. Players want and need leadership from their coach. Here are 10 thoughts regarding leadership and character building for you to consider when leading your teams. • Discipline is essential in successful team cultures. It provides structure, order, direction, purpose, and focus. Coaches and team leaders must respond to any teammate or coach’s undisciplined behavior by holding them accountable. If you do not confront poor behavior then the message is that accountability is not part of the team’s values or that it doesn’t apply to everyone. We need you. We need you to lead. We need to be able to trust you. We need you to be strong, consistent and positive. We really need you in tough times. We will look to you for how you handle, pressure, stress, mistakes and failure. We need you to consistently correct and improve our skills. We are counting on you to hold us accountable to the Core Covenants of our team. We need you to be direct and honest. We need you to know when to push us beyond our comfort zone and when to put your arm around us. We need you to protect the team from all the outside pressure we have to deal with. For those of us with difficult family situations, we need you to be a parent as well as a coach and show us what being part of a family looks and feels like. We will be a direct reflection of you and your leadership. We need you. 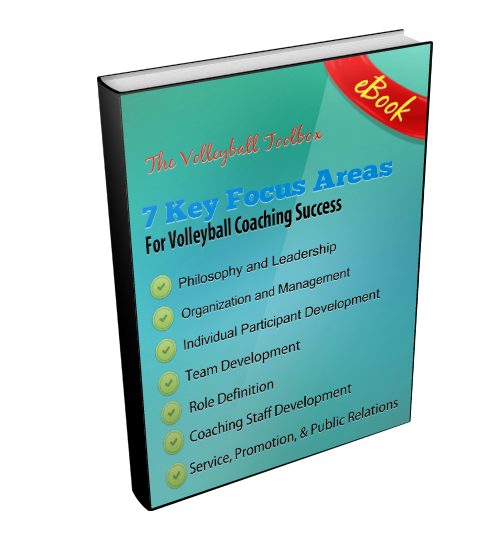 • Coaches of Significance: Be assured that your players know the job you are doing and are growing into men and women in your presence because of your leadership. They will stay in your life long after the last game is over. You are a coach of significance… you know your purpose and mission. Your athletes are thankful. • Anything you can do to improve the individual character of your athletes or the collective character of your team gives you a better chance for success in every way… including on the scoreboard. • Effective leaders catch their people doing things right and praise them sincerely. They confront their people when they are violating team covenants as a teachable moment and redirect them without apology. Above all, they are honest with them. Strong leaders of integrity are difference makers. • Most teams like to measure themselves by their most talented people, but the truth is that the strength of the team is always impacted by the weakest attitude. No matter how you try to cover it up, rationalize it or compensate for it, eventually poor attitudes surface and negatively impact teams. Protect and defend your team culture . • Can you make this statement about your team: “If you are not sure how hard to work or what decisions to make away from the team, all you have to do is watch and follow our seniors.” Great team cultures are built with intentional leadership. • Two players violate standards and school policies on alcohol. Two different families: Family #1—The player automatically knows he will also be held accountable and face consequences when he gets home; or Family #2—The next morning, the parents are at school with a lawyer wanting to blame the coach and the school policy. Down the road, which of these two kids has a better chance to be a successful teammate, employee or marriage partner? Coaches and parents should be working together to raise strong kids. • Have you clearly defined what an “athlete” looks like in your team culture? Have you defined it so clearly that the image cannot be misunderstood? There is a big difference between being “athletic” and being a true athlete that has a teachable spirit, is accountable, mentally tough, selfless, and disciplined. If you haven’t presented the right definition of being an athlete to your players, don’t expect your athletes to mirror this definiation.